ELVSTROEM (AUS) (Bay 2000-Stud 2005). 10 wins-1 at 2, Victoria Derby, Gr.1. Sire of 504 rnrs, 295 wnrs, 12 SW, inc. Hucklebuck (VRC Emirates S., Gr.1), Carrara, Outback Joe, Go the Knuckle, Shanghai Warrior, Viking Hero, Brilliant Bisc, Instalment, King Creole, Innocent Gamble, Kullu, Viking Legend, SP Step the Pedal, Danestroem, El Spark, Throw the King, Don't Get Excited, Gold Medals, Goodpack, Langridge Street, Miss Elvee, Pull No Punches, etc. Betterment (f. by Red Arrow). 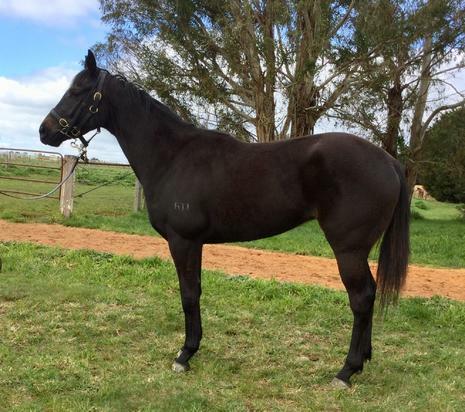 Winner at 1200m in 2017-18, SAJC Adelaide Galvanising P.
BIGELOW (Al Maher). 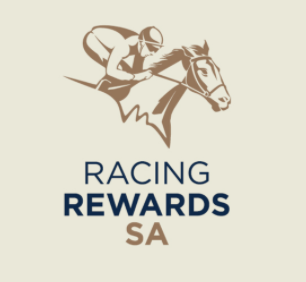 4 wins to 1400m, A$272,091, VRC Hilton Hotels S., L, MVRC Essendon Mazda 55 Second Challenge Heat H., Advanced Mailing Solutions H., 2d VRC Heron Bridge H., 3d MRC Sandown Guineas, Gr.2, Bennison Mackinnon Real Estate H.
Better be the One. 4 wins. See above. Sporting Image. 2 wins at 1200m, A$83,100, WATC Pat Treby H., Westspeed 3YO H., 2d WATC Carbine Club of WA H., Hutchinson-Webster Golden Jubilee H., Amelia Park H., 3d WATC Magic Millions H.
Miss Santa Fe. 2 wins-1 at 2-at 1000m, WATC Westspeed Nursery H., Belmont Park Midweek Races to Singapore H., 2d WATC Westspeed 3YO H., Westspeed H., 3d WATC Westspeed Sprint H.
Slainte. 4 wins to 1100m in Aust. Sebring Angel. Winner at 1000m in Aust. All the Angels. Winner at 2 in Aust. Producer. Walk Right In. 5 wins-2 at 2-to 1300m, A$119,976, to 2016-17, 2d ATC Ranvet's Salkavite H., 3d ATC TAB H., 4th ATC Rosebud H., L.
Roubaix. 5 wins to 1200m, A$104,130, to 2017-18, 2d ATC TAB Place Multi Sprint H., Beaudesert RC PSP Video P., Ipswich TC City of Ipswich H., 3d BRC Last Man Stands T20 Cricket H.
Minnesota. 4 wins at 1000m, 1100m, A$117,780, 2d ATC Tab.com.au H., 3d ATC Providence H., De Bortoli Wines H., Beersheba H.
Royal Captive (Royal Academy). 5 wins from 1950m to 2600m, R482,655, Clairwood Unicorn Tyres & Tubes H., 2d Turffontein Racing Association H., Gr.3, 3d Greyville Gold Vase, Gr.2, Turffontein Nijinsky Derby Trial, L, Racing Association H., Scottsville UK Soccer 6 H., 4th Turffontein Racing Association H., Gr.3, Java H., L-twice. Solid as a Rock. 4 wins at 1100m, 1200m, AJC Botany H., 2d QTC Winning Edge Presentations H., Defence Forces H., BTC Superior Pak H.
CAPTIVA (Sir Tristram). 2 wins. See above. EMMALENE (Jet Spur). 4 wins at 1000m, 1200m, A$251,700, VRC Gucci S., L, 2d BRC Juanmo S., L.
PACKING WINNER (Zabeel). 7 wins from 1600m to 2400m, HK$16,538,750, HKJC Citi Champions & Chater Cup, L, 3d Cathay Pacific Hong Kong Cup, Gr.1. NICCANOVA (Nicconi). 5 wins from 1000m to 1600m, A$292,050, to 2017-18, BRC Fred Best Classic, Gr.3, Thyme2 Restaurant Sofitel H., Hamilton Hotel H., 3d BRC Queensland Guineas, Gr.2. PLOVERSET (Street Boss). Winner at 2, A$136,800, in 2016-17, VRC Football S., L, 3d VRC Thoroughbred Breeders S., Gr.3.